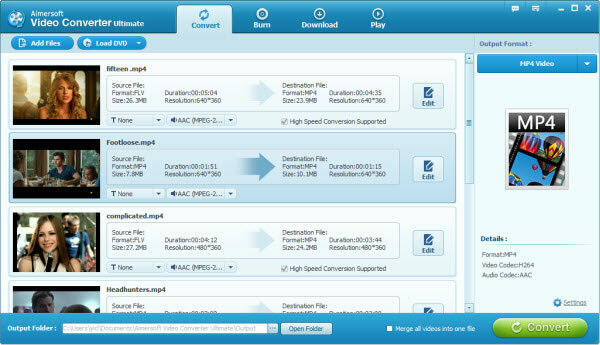 What is the fastest video converter to convert between all regular video formats? Yeah, we often hear such questions in forums. 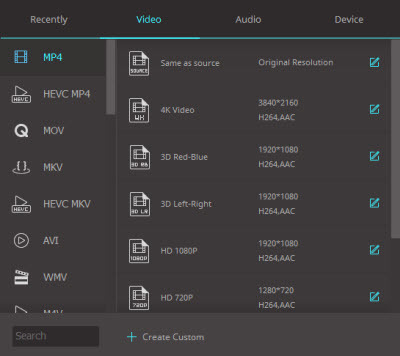 If you're looking for the best and fastest video converter to convert your video clips in AVI, WMV, MP4, MOV, MKV, FLV, VOB, MTS and more formats, now you're definitely in the right place. Note that here the screenshots of video converter for Windows are used to show you how to easily get the conversion done. The way to convert movies on Mac OS X (Mountain Lion) is almost the same. You just need to make sure you've got the right version according to your operating system. Install the launch the program. Then click Add Files to load the video files you want to convert. Or, directly drag videos to the item bar for conversion. As you see, in addition to convert videos, it can also rip DVDs, burn DVDs, download online videos and play media files. After all the files are loaded, you can edit them by trimming, cropping, rotating, adding watermarks and more to add some special feel to your movie. Next, you need to click the triangle icon of Output Format on the right to specify an output format. Various output video and audio formats are provided. 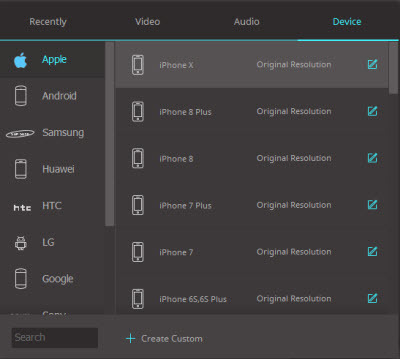 And video presets for portable media players like iPhone, iPad, iPod, Apple TV, PSP, Xbox 360, Samsung, HTC, etc. are offered so you can convert movies to fit your portable devices. When all settings are done, click the Convert button to start converting the added video files to the format you've selected. Since this fast video file converter works efficiently, you don't need to wait a long time for the conversion to be done. After the conversion, click Open Folder to locate the converted videos and just enjoy them.